‘Tis the season to go shopping for the Holidays, and books make the very best gifts. This month, The Latina Book Club will feature weekly shopping guides. Here are some fun Latino children’s books for kids of all ages, even a couple that are bilingual. Click on the titles below to purchase your copies today. Happy Shopping. Happy Reading. And, Happy Holidays! 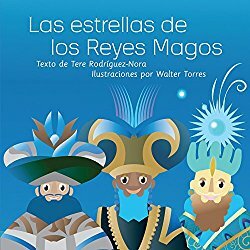 A fun and festive Latino twist on the popular “The Twelve Days of Christmas.” Think pinatas instead of partridges, dancing donkeys, singing moons and more. 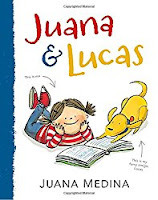 Juana is a spunky Colombian girl who loves many things, but not learning English. Until her grandparents invite her on a special trip where English is needed. 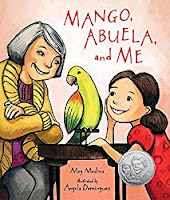 Now, Juana finds that learning a new language can be fun too. Little Lilly Lujan loves her chanclas/flip flops, and wears them everywhere – baptisms, barbecues, picnics and even quinceañeros. 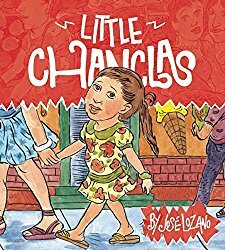 But then one day at a fiesta, one of Lilly’s chanclas break. Oh no! What is a little girl to do?! 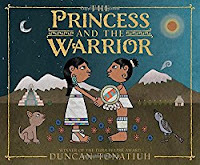 Author and artist Duncan Tonatiuh reimagines one of Mexico’s most cherished legends, that of Princess Izta and her warrior Popoca. Like Romeo and Juliet, Izta and Popoca fall in love despite their differences and though Popoca wins her hand, a jealous rival tricks Izta. She falls into a deep sleep and even though Popoca can’t awaken her, he refuses to leave her side, and so two volcanoes are formed—Iztaccíhuatl, who continues to sleep and Popocatépeti, who spews ash and smoke, trying to wake his love. 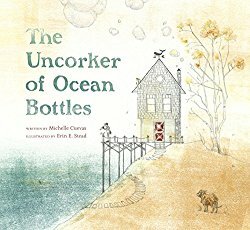 Uncorking ocean bottles is a lonely job, until an invitation is found in one. Who is it from? Who is it for? The invitation’s mystery must be solved with wondrous results. Someone has been jumping on Nikko’s bed. 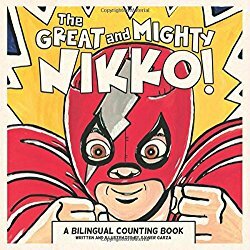 He swears to his Mami that it’s not him but the 10 luchadores (wrestlers) who visit him every night. What is a boy to do but to put on his own mask and take them all on! Why ride in a car when you can ride on a bus that breathes fire? This 2016 Winner of the Newbery Medal and Caldecott Honor Book, is beautifully written and illustrated. 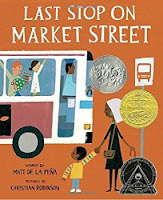 CJ is a young boy who only sees what he doesn’t have, but thanks to his Nana, CJ is soon able to see the true beauty all around him in the big city--on a bus ride, a patch of dirt and in a soup kitchen. All these books will make great holiday gifts for kids of all ages. Think about donating a book or two to your kid’s school and your neighborhood library.